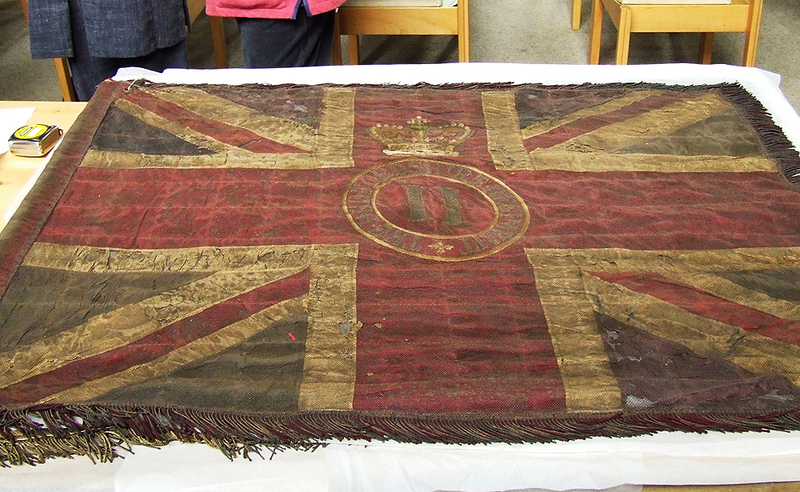 St Paul’s Church in Bedford houses a fine collection of Regimental Colours which bear witness to an important military history and tradition. 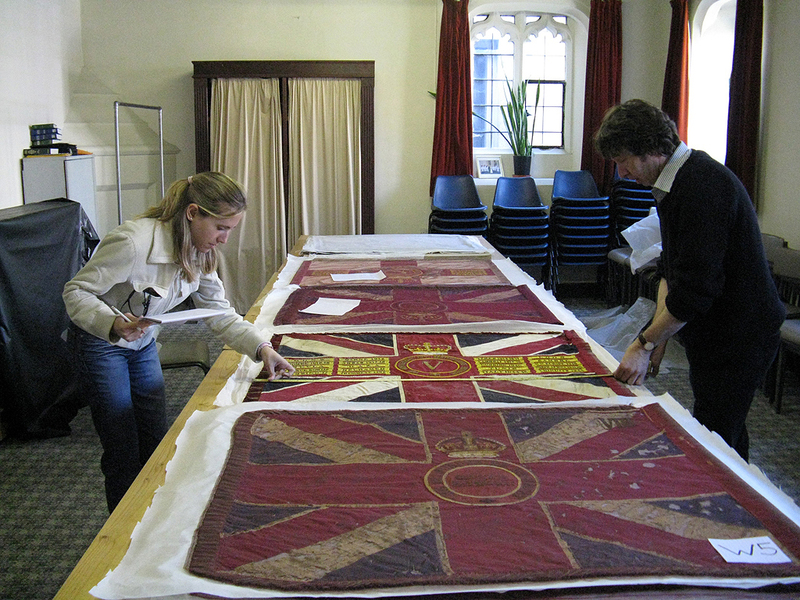 The Colours were taken down during building works in the Church and at the time of reinstatement they were surface cleaned and assessed for conservation needs. 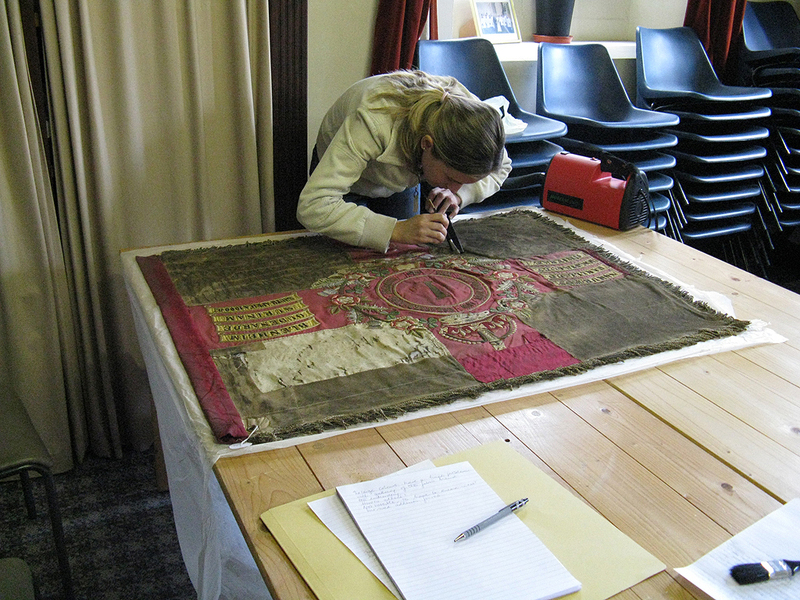 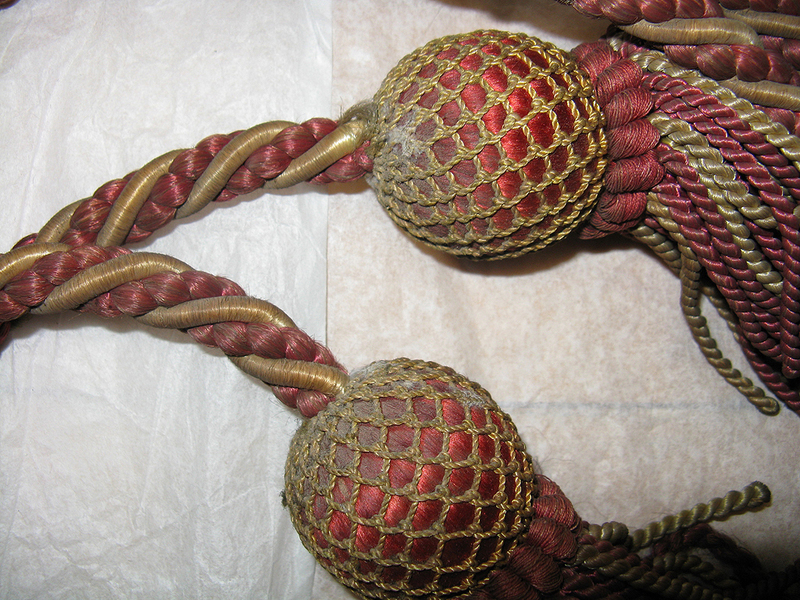 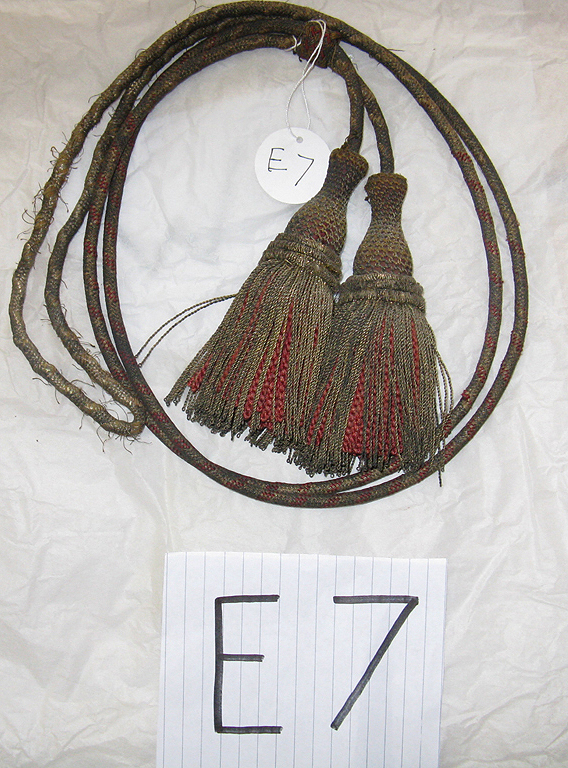 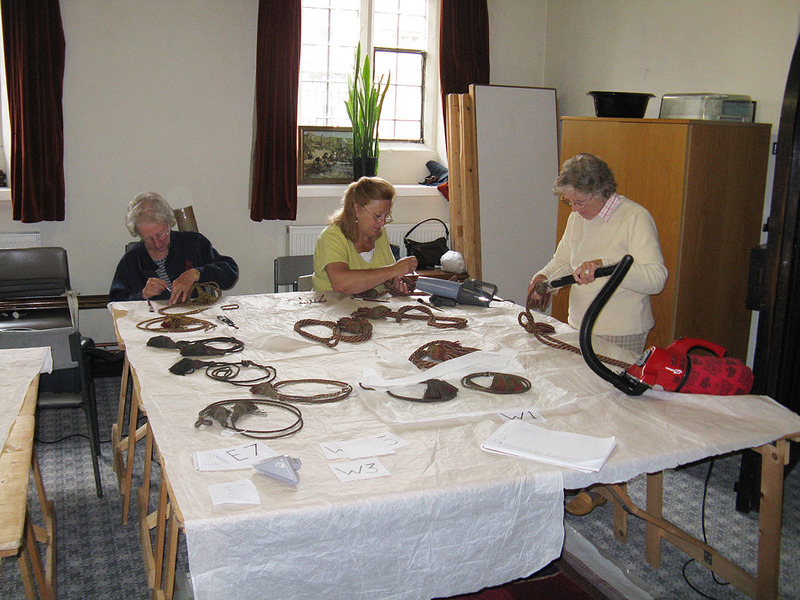 The work was undertaken in situ, the Vestry became a pleasant work space, and a number of volunteers assisted in the cleaning of the fine tassels. 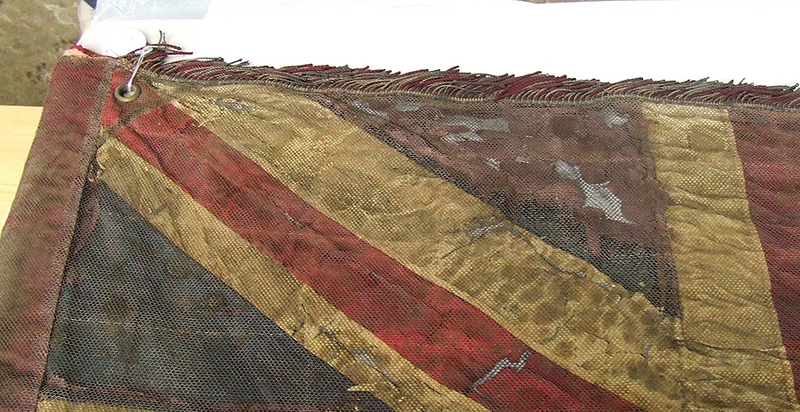 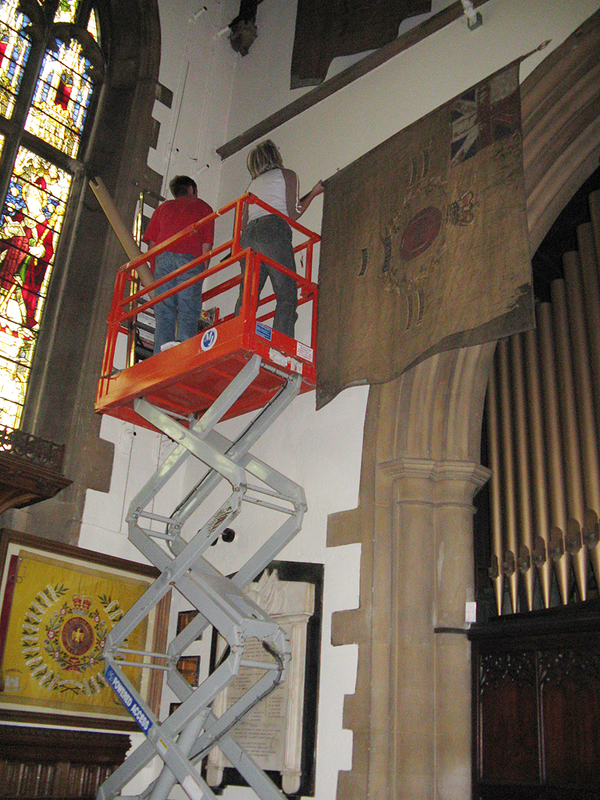 The largest and oldest Colours hang high in the church and a ‘cherry picker’ was needed to reinstate them.